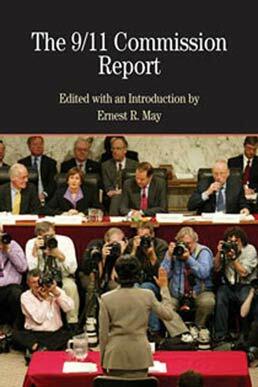 Get an eyewitness account of the National Commission on Terrorist Attacks' methods and actions as The 9/11 Commission Report with Related Documents takes you through the drafting process and the collaboration of commissioners despite the bitter political divisions surrounding the commission. 1. "We Have Some Planes"
8. "The System Was Blinking Red"
Ernest R. May is one of the leading diplomatic historians in the United States. He is the Charles Warren Professor of History at Harvard University, where he has taught for over three decades and served as dean of Harvard College, director of the Institute of Politics at the Kennedy School of Government, and chair of the History Department. In 1988 he won the Gravemeyer Award for Ideas Contributing to World Order. Among his many books, the most recent are Thinking in Time: The Uses of History for Decision Makers and The Making of the Monroe Doctrine. He is also the advisory editor to the Bedford Books in American History series.